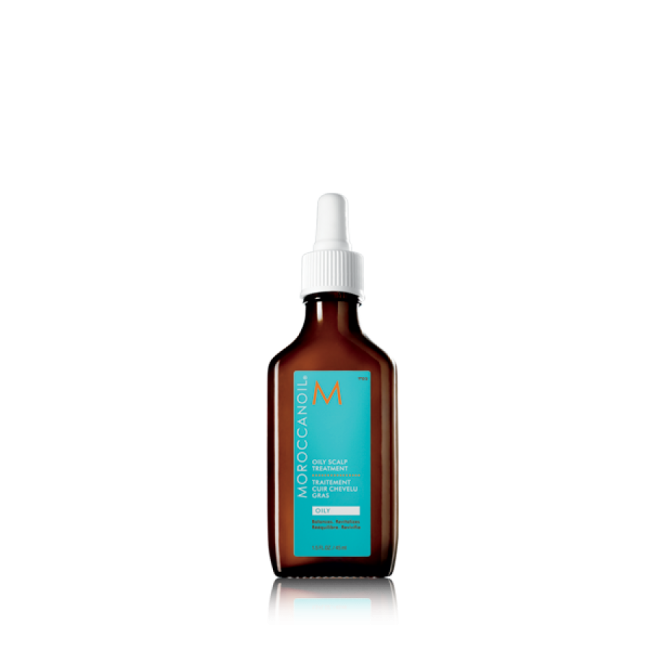 Moroccanoil® has developed a professional regulating treatment to control the scalp and revive hair. Oily Scalp Treatment is a concentrated formula of antioxidant-rich argan oil and essential ginger oil. It helps to correct imbalances and soothe inflammation of the hair follicle, which manages oil production. Roots are lifted and hair takes on more body and life. Used pre-shampoo, it soothes the scalp and keeps it from getting too oily or dry. Separate hair into four equal sections. Apply 3–6 drops of treatment onto scalp per section. Smooth into scalp with fingertips. Let penetrate for 5–10 minutes. Comb through. Rinse. Follow with the Moroccanoil® shampoo and conditioner that’s right for your hair needs. Use weekly to start and less frequently as condition improves.